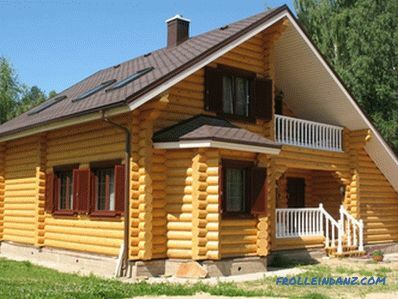 When arranging the territory at a dacha, it is necessary to determine in advance which functional zones it will be divided into and what their sizes will be. Adult family members are interested in refining the recreation area with a barbecue, a gazebo and a pool or pond. But if you have children, then perhaps it is worth thinking about them. A playground in the country will become a favorite place for your child, if you can think everything out and implement it. It is important that the playground meets the age needs of the child and is safe. In this sense, it is very important to take care of a good coverage for the site. In this article you will learn how to make coverage for sites in the country with their own hands. 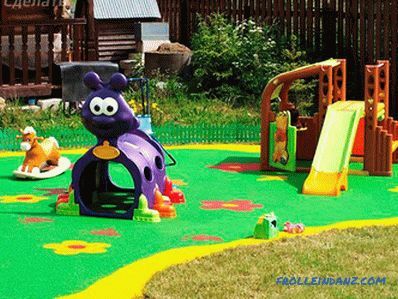 Environmentally-friendly, low-cost, and perhaps the most traditional playground area for children is turf grass and sand. Falling on them is usually not painful, but if it rained outside, the child’s play area will turn into a complete swamp. And if we add to this the removal of garbage from a sand or lawn ground and the need for regular care, then involuntarily you begin to think about alternatives. Injury safety, elasticity and elasticity. Resistance to UV radiation and temperature extremes. The surface does not slip even after rain. High drainage properties and moisture absorption. Wear resistance and long service life. Modular and self-leveling rubber coatings require preparatory work. Place under the playground should be perfectly smooth. To do this, you will have to fill the screed or lay wooden flooring, make an asphalt / stone base. Natural grass does not tolerate constant trampling, as a result of which bald spots form on the lawn. If we talk about artificial turf, then he will not care about such a load. If you need to choose the best lawn option for the site, then pay attention to its technical parameters. 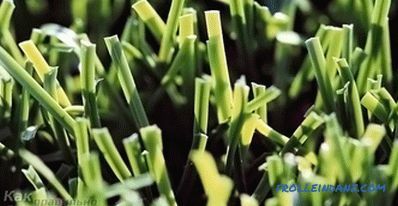 This is important, as manufacturers make a covering of different height of grass pile, density, thickness of grass blades, etc. It is not difficult to cover artificial turf. It can be laid on the ground or concrete / asphalt base. If you have made a foundation for an asphalt or concrete platform, then you should lay a substrate of elastic and durable material with a thickness of not less than 1 cm. Due to this, the lawn will not lose its attractiveness even after several years old. Before you make an artificial turf, you need to level the ground and remove garbage from it. Rolls are stacked on a flat surface. The leveled ground should be compacted. Ideally, a skating rink is used for this, but you can also do this work by slamming the soil with a wide board. If you are based on asphalt, then there is no need to perform this stage of work. Production of drainage ditches. Precipitation will not harm the synthetic lawn, but if you do not create drainage, the soil beneath it will rot. If you plan to build a large site, then dig along the edges of the trench, which will subsequently drain rainwater. If you are laying the lawn on asphalt / concrete, then lay out the entire area with the substrate, and roll out the rolls of synthetic grass over it. This should be done in a straight line. At the same time, each subsequent row should be overlapped with the previous one by approximately 1.5 cm. After laying the lawn, let it rest for 10-12 hours. This time is necessary, that the coating straightened, and the blades of grass acquired a vertical form. 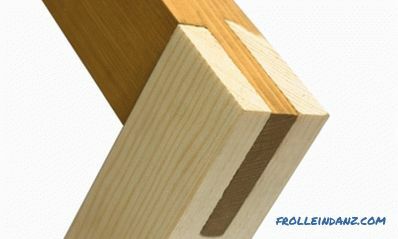 Binding of rolls should be carried out with the strongest joining of rows. 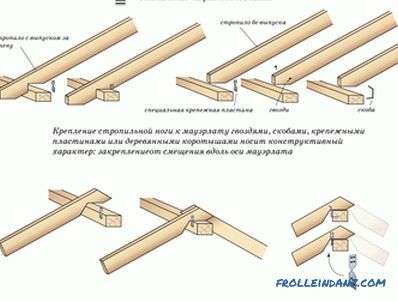 To do this, cut the overlap with a knife so that the joints are tight to each other. The edge of the synthetic turf should be decorated with a border, which is fixed with the same adhesive composition as the joints. If you are laying a half-filling or backfilling lawn, then spill the coating with quartz sand. The size of the fraction you recommend at the point of sale of the lawn. It is important to bear in mind that it is possible to perform this stage of work only in dry weather. Then the lawn needs to be combed with a rake. This is done so that the grains of sand go as deep as possible into the blade of grass. Now the lawn is filled with rubber or rubber granulate. The consumption rate can be found in the instructions for coating.Now they are combing the lawn and collecting all the rubbish from it. The most crucial moment is the gluing of rows. Before carrying out this process, check the coating for wrinkling and swelling, trim the edges, correct any defects and proceed to gluing. Do not delay this process indefinitely. When the temperature drops, the edges will simply diverge and they will have to be re-connected. Connecting tapes, 25-30 cm wide and two-component glue are used for this. Glue the strip with a trowel, unscrew the edges of the neighboring rolls, lay the tape under the glue part up, and then cover it with synthetic grass. To glue the base, the seams need to be rolled with a roller. Preventing accidents and injuries is the main task for parents when setting up a playground. Falling here is a usual thing, so it is very important to use an anti-traumatic rubber coating. Among other advantages of this material, it is worth noting the ease of maintenance, long service life exceeding 10 years, environmental safety, visual appeal and pleasant sensations during tactile contact. 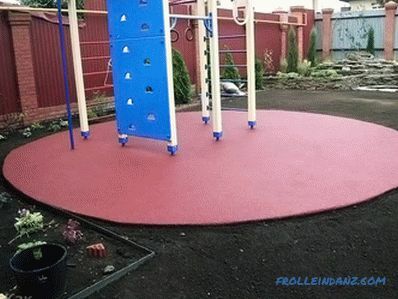 A rubber coating for a playground can be laid in just two ways - on the ground or on a solid base. This method of laying is most relevant when arranging a platform in the garden. To do this, use a material with a thickness of 30, 40, 50 and 80 mm. 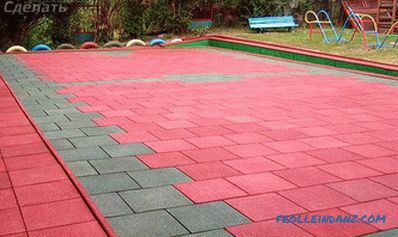 Before laying the rubber tile, you should prepare the base. To begin, remove the top layer of soil, clean it from the roots and weeds, and then level and tamp. Spread a layer of crushed stone 80-100 mm thick on the prepared soil. Then a layer of cement-sand mixture is poured in a ratio of 1 to 3. The top layer will become the basis for laying the rubber coating. When laying rubber slabs on the ground, it is not necessary to tilt. This is due to the fact that the outflow of moisture will occur naturally. 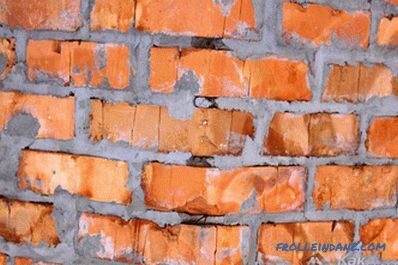 It should also be borne in mind that when laying the coating on such a foundation, you should purchase a tile that is interconnected by the sleeves included in the kit. They are used for reliable joining of tiles and do not allow them to shift during laying and during operation. The coating can be laid on an asphalt / concrete base or wooden flooring. It is important to bear in mind that the base must be smooth, without deformations. Asphalt needs to be treated homemade primer. To make it, you will need to mix acetone and polyurethane glue in equal proportions. This composition should be applied to the asphalt surface. Concrete foundation may not be ideal. If there are cavities, chips and cracks on the surface - this is not scary. For processing the same primer is used. 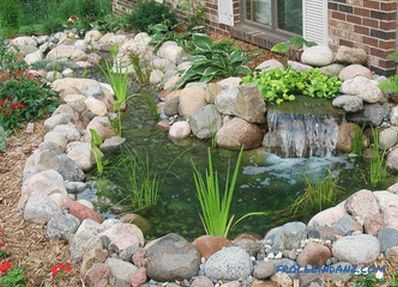 The slope for water flow should be approximately 2%. After processing the concrete, tiles can be glued to it using polyurethane glue. You can use a roller or spatula to apply the adhesive. The tile should be pressed tightly against the base, which will ensure its maximum adherence to adjacent tiles and the base. After the glue hardens, the pad is ready for use. Modular plastic coatings are collapsible multifunctional structures made of high-quality plastics. The coating consists of modules of different sizes. It is durable, not afraid of heat / frost / moisture, environmentally safe. Modules can be laid on any approximately flat surface. They can be assembled and disassembled, and also transferred from one place to another without dismantling. It is easy to care for plastic modules. They just need to rinse with running water from a hose. The reliability of the coating, the replacement of broken modules, and the ability to assemble / disassemble depends on the locking system. The Erlock castle system (Erfolg Home. Garden) deserves special attention. It reliably connects the modules to each other, preventing deformation of the finished coating. 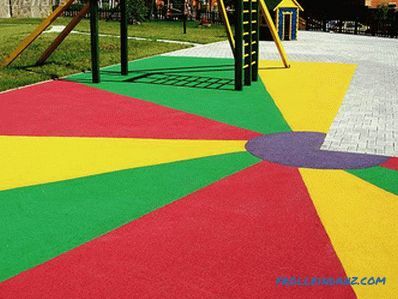 Modular plastic coatings are the most effective and affordable method of arranging playgrounds for children's games. The probability of injury due to coverage is minimal. 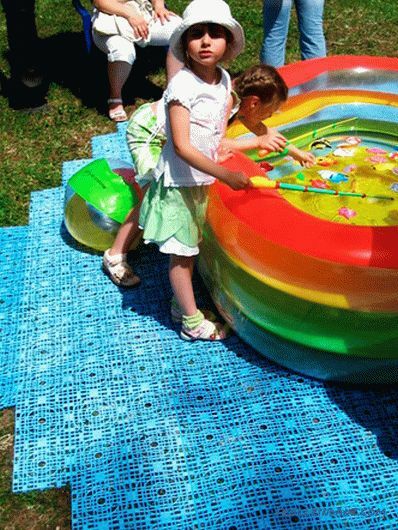 When mounted on a soft base, children can be immediately allowed to play on the playground, without waiting for the plastic to settle or grab with the base. Another weighty argument in favor of these products is that in winter, one can make a skating rink, if the snow cushion is at least 10 cm thick. 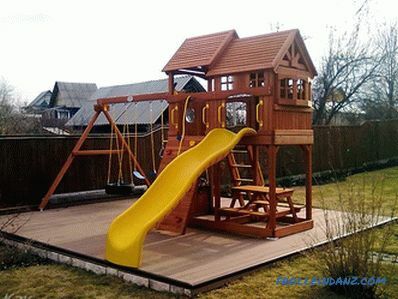 It is also important to bear in mind that children grow quickly and the once-needed playground becomes useless.If you make a coating of plastic modules, it can be assembled without special efforts, and then used in another place, for example, for arranging a sports and play zone designed for teenagers. Installation of the coating is simple. The foundation for the site does not require special preparation. The coating can be laid even on the grass. But ideal lawns plastic cover unreasonable. Therefore, it will be more cost-effective to prepare a sand pillow under the cover. Initially remove the sod from the site. Cover the resulting cavity with sand, at least 10 cm thick. Then fill it with water, ram it and level it. The covering should be laid on a marking beginning from the center and finishing with edges. Modules should be pre-assembled in squares having a size of 1 * 1 m.
To connect the modules, you must insert the lock foot on one module into the bracket of the other and push the connection until it clicks. During laying, control the straightness of the joints. Vtrambuyte finished coating in the base, remove excess from the surface of the site. So, with all this in mind, you can choose and install that coating that fits your financial and operational requirements. Adhering to simple tips, you can lay down the coverage for the sites on your own, without the involvement of specialists.